We’ve got a brand New Year ahead of us. Of course for you to be your best self in 2018, you’ve got to first become your best self. If you’re stuck in a mode where you’re saying I have no motivation, then there may be deeper things going on. Luckily we’ve got some people who have come before us. Who have forged a road ahead. Who have figured out what’s vital to reflect on, and what to pursue to change year after year. 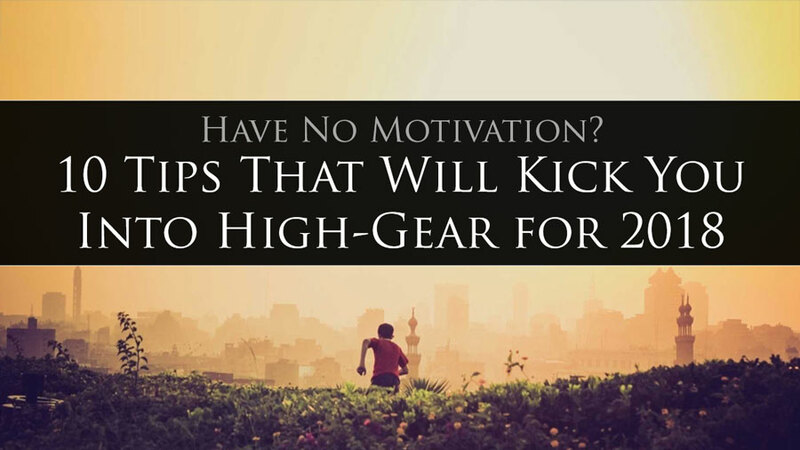 So that you get motivated and stay that way. Getting and Staying Motivated Is KEY to Your Online Success! We now get to make a clean slate going into 2018. But it can’t come without first reflecting on what we did (or didn’t do) in 2017. 2018 is going to be an interesting time in the home business world, at MLSP, and in YOUR life. Your level of motivation will be key to where the new year takes you. .
L5 leader and home biz Rock Star Steven Rachel recently had some amazing tips to take advantage of the new year, and create a huge impact on your business. And we’re going to share that with YOU right now! 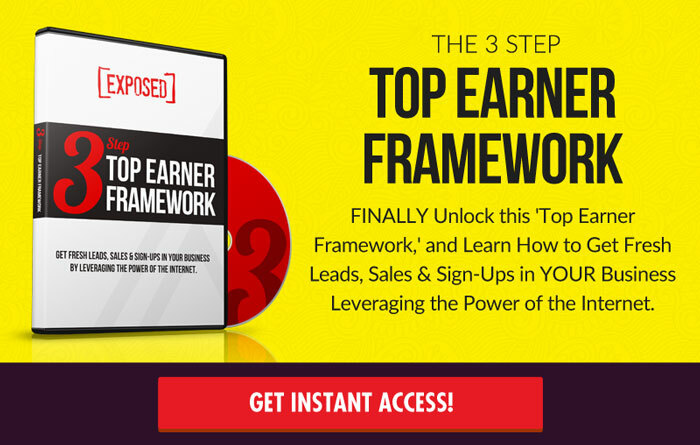 So you can take your biz to the next level! 10 Things to Drop in 2018 to Keep Motivated! 1) Drop the Sense of Entitlement! Too often someone joins a business, and just because they’ve joined that business, taken on the title of entrepreneur, or paid a $10 trial… they believe that they’re entitled to success. However you’re NOT entitled to success. If you want success, you’ve got to claim it and then go out there and do what needs to be done to make it happen. You’ve got to go out there and earn it. Stress is a killer, both for your physical body and for your mind. Not dropping stress can kill your motivation alone. And if you’re constantly feeling discouraged and saying I have no motivation, it could very well be that you’re not handling stress correctly! Very often we’re stressing about things we can't control. If you can’t control it, don’t stress about it. Focus on the things that you CAN control. We all get stressed, but it’s up to YOU to do the things that eliminate or greatly diminish it. Being in a community with supportive people! Those are all ways you can start dropping stress in your life, and keep your motivation up at the same time! Dropping negativity starts with self-awareness. Do a quick self evaluation and ask yourself, “How do others see me?” Would most people describe you as negative or positive. What kind of thoughts are in your mind throughout most of the day? A negative mindset can be addictive, so it’s important to realize when you’re becoming negative, and quickly pull yourself toward the positive side. It’s time to start being optimistic about life and your future. One of the fastest ways to do that is to get around positive people, and adopt their mindset. Again, the MLSP Wake Up Calls and the MLSP community can have a huge impact on that! Developing a positive attitude that you sustain throughout the day will keep you motivated through 2018! This one is a big motivation killer! We look at other people who are successful, or who are doing certain activities… and forget that they once were just starting out just like us. You must be the best YOU that you can be! This is your #1 concern. Not what others are doing. We all have things to do that aren’t based around our business. Work, family, friends, etc. At the same time, we all only have the same 24 hours in a day. The difference is how we USE that 24 hours. Anybody you see that is successful, they've got the SAME 24 hours that you do. If you're that busy person saying “I don't have the time”, then you must actually lay out all that time, and figure out how much time you actually have. Whatever that amount is, make sure that you take total advantage of that time everyday. Only have an hour everyday after work to work toward your business goals. That 1 hour better be used in the most productive way possible. Make the time management decisions to eventually get you out of that situation so have MORE time freedom. You DO have the time, just use it wisely! We live in a microwave society, where we want everything now. What you must realize it that it takes time. You must be patient with yourself. A lot of times when people quit, it's just because they're impatient. They want results now, instead of understanding that they’ve got to work through the pitfalls and obstacles where those results reside. It's going to take time, and it depends on the individual. Some people will have extremely fast success. But that's NOT the norm. This is also where dropping the comparisons again come into play. RememberYou’re not seeing the journey that these people you’re comparing to have been on. You’re not seeing the days where they’ve wanted to throw their laptop out the window because things weren’t going right. But they had the patience to get to the other side, and so YOU need to as well. It’s about “getting better and better everyday!” So stay the course. It’s easy to get lazy, and then blame the fact that you have no motivation on other aspects. The truth is that when you’ve got to get something done, just get it done. Don’t give yourself time to procrastinate. If you want to become a leader in 2018, then you’ve got to understand that leaders get things done. Even when Game of Thrones is on. Even when there’s a better option. Even when you’d rather do anything else. It usually means that you REALLY need to do that thing. Because what’s usually on the other side of that is a new level of greatness that you didn’t know was even there. Make the decision now to DROP laziness from your life, even if it stinks at first. It’ll change everything! Those people who can’t get motivated usually don’t take the time to be grateful of the things around them. There’s a magic to gratitude that changes the game. Having trouble finding something to be grateful about? "Happiness" = gratitude. Practice the latter and you'll feel the former. Just think about the time that we live in and the things that we have access to. The possibilities, tools, resources, entertainment, media that are now right at our fingertips. Also just think about the challenges that you'd have to deal with if you were starting or running a home business 20 years ago. Before the internet. Before smartphones. Yikes!! We live in a time where anybody can be successful if we just make the right decisions. And gratitude is a decision!! With training, tools, coaching. Whatever you're trying to do, the resources are there for you to be successful, and do all the things you once thought you couldn’t! You just have to take advantage of it. “I can't make videos”. Yes you can! Other people are doing everyday. You can too. “I can’t do all the techie stuff”. Yes you can! You learned how to drive didn't you? That's pretty darned technical. You can do it, you just need to make the decision to do it. Here’s the thing about excuses — they’re all legitimate! Weren’t expecting that? Well any excuse you make can be justified by your own mind. However it’s up to YOU if you’re going to make excuses. Are you going to listen to your excuses? Or are you just going to do what needs to be done anyway, despite the excuses. Only you can decide that. But if you want 2018 to be your best year ever, now is the time to decide that your excuses won’t hold you back. Whatever the situation, it’s your situation. Own it, understand it, and move right on through it like a freight train. This will change your life!! And let’s not forget, saying “I have no motivation” is also an EXCUSE! What will you do with that one now? You’ve Now Just Been Given 10 Ways to Eliminate the ‘I Have No Motivation’ Attitude! What will you do with that? Will you use these 10 ways to make 2018 your best year ever, or will you still be in the same spot a year from now getting ready for 2019? It’s up to YOU and the decisions that you make from here on out!! What are YOU doing to create your best year yet in 2018?! We’d love to hear your comments and thoughts here!! Well spoken, plain Truth, and words of now Wisdom. I shall Live more firmly likewise, as you have spoken. This is great information, I’m determined everyday to take action to reach my full potential.